Giveacar, one of Britain’s most dynamic social enterprises, has just passed the landmark of half a million pounds raised for charity in less than two years. The target was reached with a donation of £479.50 to the Chestnut Tree House Children’s Hospice, in Arundel, West Sussex, a charity chosen by car owner Mr Claudio Tessaro, also from Arundel. Giveacar raises money for charity by scrapping old cars, recycling the parts and passing the proceeds to the charity of the owner’s choice. Anyone who has an old car they no longer need can use the scheme. Cars can be picked up from anywhere in Britain - all it takes is a phone call. Giveacar pioneered the idea of scrap car donation in the UK and has already supported the work of more than 450 charities, helping them to make a real difference to people’s lives both here and overseas. A not-for-profit company, Giveacar has raised over £85,000 for Cancer Research UK alone. “We are thrilled that we have been able to raise £500,000 in such a short time. I’m particularly glad that, in the run-up to Christmas, we reached this target with a donation to a charity that cares for children in very difficult circumstances. Giveacar’s pioneering approach to raising money for charities has attracted widespread acclaim and recently resulted in it being named as the only British finalist in the World Challenge 2011, a global search for the most effective social enterprise, supported by the BBC and Newsweek. Alex Harvey concludes: “A big thank you for the valuable work of the many volunteers and charities who have shown faith in a new idea and, of course, to Giveacar’s founder, Tom Chance, whose determination and tireless efforts put Giveacar firmly on the fundraising map. Launched innJanuary 2010 by social entrepreneur Tom Chance, Giveacar was the first service of its kind in the UK and it allows charities to tap into a brand new source of funds. At the same time it gives car owners a simple way to get rid of their unwanted cars and put them to good use, raising money for their favourite charities. Giveacar’s customers ring up, have the details of their cars taken and are asked for the name of their favourite charity. Cars are collected by tow truck directly from customers’ home addresses. Some will be scrapped and others will be sold on. Giveacar has built a network of scrap merchants and auction houses reaching into almost every corner of the UK, and always aims to get the best price for each car donated. Giveacar is happy to deal with any registered UK charity. For car owners, this is a simple, hassle-free way of getting rid of an old banger and helping a good cause. For charities, it’s a new funding stream from a previously untapped source. The environment benefits too: dangerous and unsightly cars are taken out of circulation. 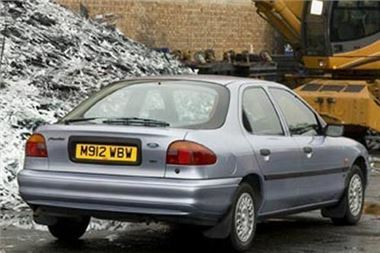 All Giveacar’s scrap cars are depolluted and processed to the highest environmental standards. In the company’s first month of operation it handled the donation of just seven cars, but this figure has grown steadily and now Giveacar often receives that many enquiries in a single morning. Having appointed an enthusiastic and highly committed team to run Giveacar, Tom Chance has now stepped back from day-to-day operations, whilst retaining a strategic advisory role. Giveacar remains a truly independent social company, not owned by or tied to any commercial operation. Great thing that donated car helps alot the charities in extending their helping hand to people and other organization.